Year: 2014. Client: Al-Jazeera Media Network. Doha, Qatar. Headquarted in Qatar, Al Jazeera Media Network in an international news channel with over sixty bureaus around the world that span six different continents. The Arabic TV channel is one of the most watched news channel in the Arab world with an estimated 50 million viewers around the world. 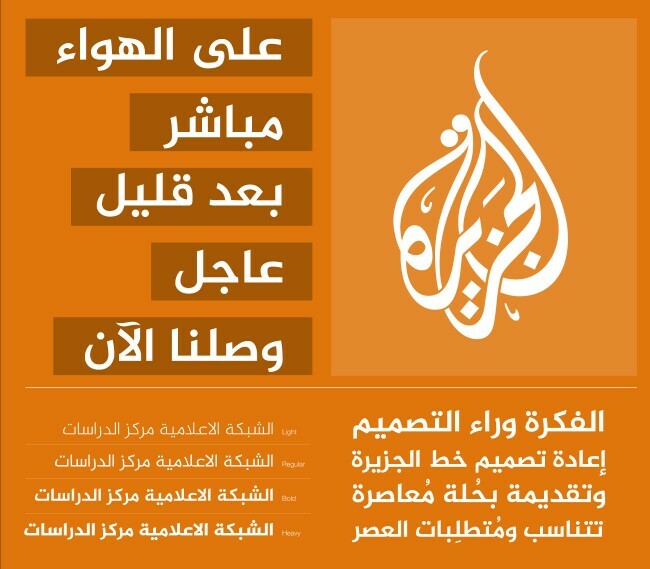 As part of its rebranding, Al-Jazeera media network needed an Arabic typeface that will addresses their various requirements. They needed a family of Arabic fonts available in a wide range of weights. The font need to read well on TV screen, but needed to be used on the network’s new website. In addition the font had to take into consideration the look and feel of the brand and its typographic tradition, and build on renewing the on screen typography without loosing a connection to it. Al Jazeera Media Network turned to us at Tarek Atrissi Design for a custom typeface design solution. We were chosen as the studio to design and develop the typeface because of our vast previous experience in design Arabic fonts for major TV channels servicing the Middle East, such as BBC, MTV Arabia, ATV, among others. 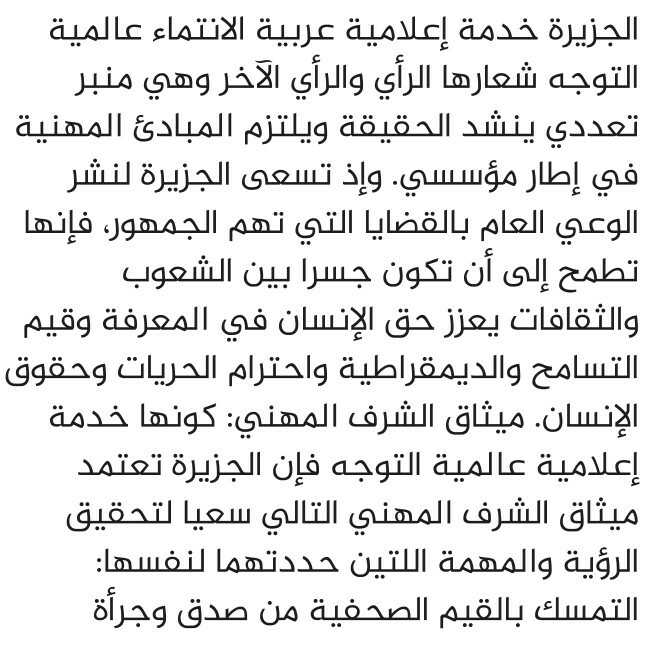 A typeface family of 4 weights was developed exclusively for Al-Jazeera and was tested rigorously for broadcasting and across the several on screen typographic hierarchy use by the channel. The font was inspired by the calligraphic fonts used in the pat by Al-Jazeera, yet it was designed with a simpler approach that focused on legibility and on minimizing unnecessary calligraphic details. 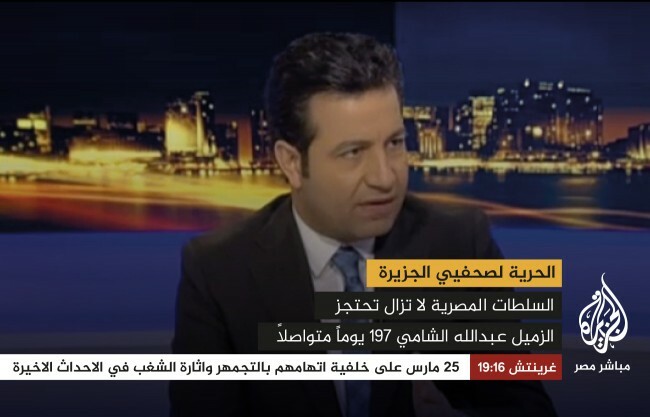 The font was first used on Aljazeera Misr Live channel, and was then applied to the headlines of the Arabic website in 2014. 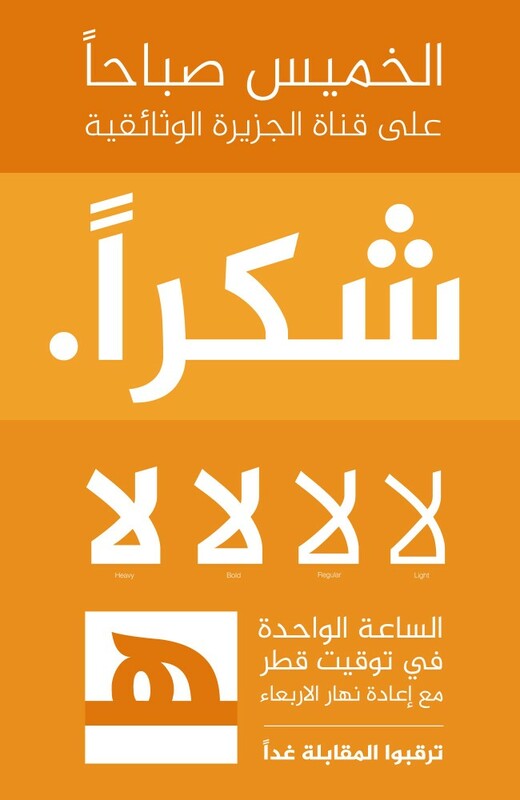 It became then the official typeface for the news channel- becoming one of the most visible broadcasted Arabic fonts to date.